The world seems to be just inside the closed walls of your room when you have your portable computing devices along with yourself! The web covers everything and you have your solutions at hand, no matter what your questions are, if you have got an access to your Android devices. If you are confused to get to your destination, or are unable to find the right directions, these apps will help you to locate areas and you can follow it to reach to your place. If you can't get up early, miss your schedules because you can't remember them, want to book hotels, go for shopping, a computing device will help you do all at ease, and for that, you do not even need to move out. In order to keep your stress level to a bare minimum, you can consider having these apps in your computing devices. Weather Bug is popular among users for it provides an easy to use interface, thereby offering the most accurate weather reports for the present as well as for the future. It has been powered by the world's largest professional weather stations. The app tracks detailed weather forecasts, real-time traffic conditions and Doppler radar effect for precipitation. This app is the best way through which you can send files, links and texts between devices. It is important since you need to share files and data with your friends and other people around you. Certainly, you have a Bluetooth by default on your device, but this app works well when you need a quick transfer. No matter how spectacular and secure your password is, you are never completely safe from the miscreants who are engaged in account hacks. Authy makes it easier to use when you have Two-factor authentication or 2FA with you. Although Android comes with a modern and sleek design and the features are too good, there are several times when you have been searching something important so hard that you need to dig into the file system. The built-in file managers are undoubtedly cool for Android brings them along with itself. However, with Solid Explorer File Manager, you can locate your file at ease. It serves a dual pane interface, thereby supporting archives, local files and more. 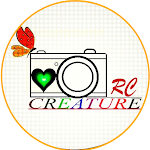 All of us are more or less photogenic, we love clicking photos and images whenever we are out or at times, even when we are at home. With the advent of Selfies, we love to take photos even more. 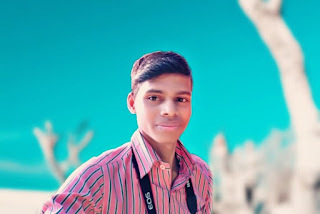 Snapseed provides you with a touch-screen friendly and a clean interface to crop your images; add an artsy filter to them, tweak the saturation and brightness of the picture before you post it into the social media. If you are stuck among those few wallpapers that the device brings along with itself, and you have been bored with them. Why not change the whole style and give a funky look to your device? This app offers the best wallpaper catalog to the users with a wide variety of options. This app comes with a fantastic feature and an amazing design. It helps you see your images in their respective folder locations, just like any other gallery apps. However, the tagging system enables you to find your important or favorite pictures. It is the best shopping app that helps you grab discounts, offers and the latest arrivals of dresses, shoes, household commodities and various other products that you require almost regularly. This app works really well and it has turned out to be one of the most favorite apps among users who prefer taking up flights. It is not always necessary for people who are planning for their vacation but being a working individual, you may often require travelling across places within your country as well as in abroad. In that case, this is a compulsory app for you that will keep you updated about the cheapest price alerts for booking an air service. It will notify you when to buy your travel tickets via push notifications. The user interface of this app is absolutely simple and you can book your tickets in less than a minute without getting into any sort of mess. When it comes to best Apps for your Android Device to make Your Life Easier, youtube TV also make a place in the list. YouTube TV is a commercial service that streams more than 60 live TV networks via the Internet. Follow this guide to install Youtube TV on Firestick. It offers an easy to use, an in-depth video editor that comes with diverse editing options. You can choose to match beats, cut your video and customise it just as you want. This app helps you book your hotels, even at the last minute. It provides a reliable service to the clients, wherein you can grab discounts on empty rooms and book the best living accommodation while travelling. It offers 24 / 7 service, so you can fetch the customer service anytime, irrespective of the time in the count. It is particularly handy when you are travelling abroad. It allows you to request for your rides or get a cab in the middle of the way. This app is basically pioneered on-demand services and help users to get fare quotes and amazing rates. Rather than finding a taxi from the taxi stand, this app brings a straight service to you. It is considered to be one of the best navigation apps that help you locate places at ease. It has got landmarks that could be easily found and the user-friendly interface makes things work smoothly. You can locate destinations, sight-seeing places, closely located restaurants and more with this application. When you are planning to travel, you need to plan things wisely. This app serves you with everything you need. You can select activities to participate in the trip, a poolside swimming or a fancy dinner. This app will help you pack things by reminding you about the things-to-do in the form of a checklist. 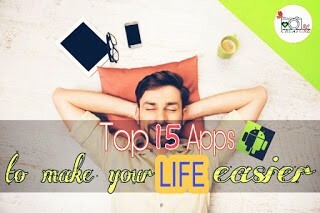 To conclude this article, I shared some best and important 15 apps which make your life easier ! Hope you like this article. If you have any queries or questions, please feel free to contact me. Thank You ! !